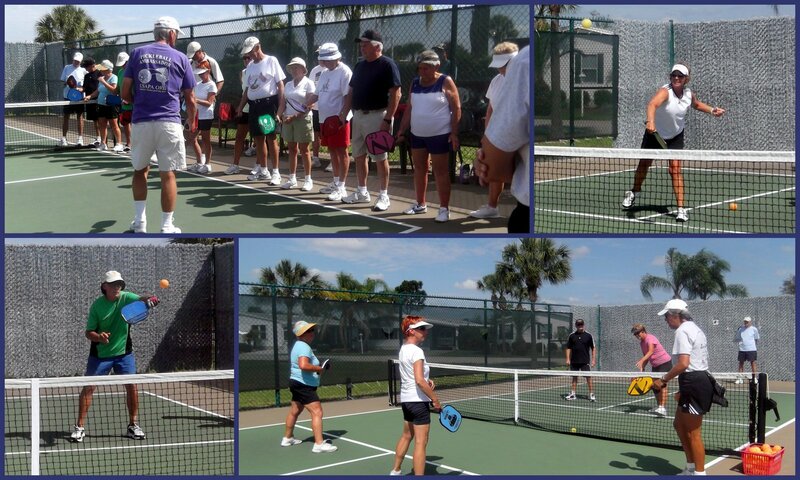 On Saturday and Sunday March 24th and 25th, New Tampa Ambassador Rich Donald and Tanglewood's Linda Kramer conducted pickleball clinics for the Tanglewood Pickleball Club members. Nearly 40 players showed up over the two days to participate - some coming back the second day to make sure they didn't miss a thing! Below are a few pictures of the players working hard to capture all the information being provided; the proper grip, court placement, ground stroke and volley techniques, lobs, line calling and tips on dinking/the soft game. The participants spent a little time listening, a little time practicing and a little time asking questions and went home with a lot of information to help them improve their game. The Tanglewood Pickleball Club is very proud of the level of play of many of their members, and does a great job finding ways to help their members improve and take their game to the next level. At the end of each day, all the players drew from the hat to see who would take home some additional training tools! It was the ladies who took the prize this time! 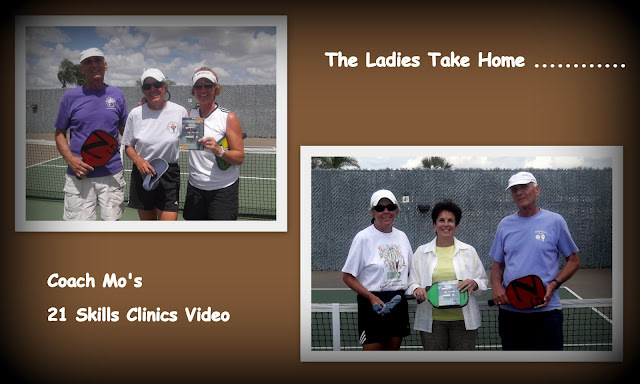 Below Rich and Linda present players with Coach Mo's 21 Skills Clinic Video! One of the best tools around for improving your level of play.